Born and raised in Albury, Pat completed his education at St Patricks primary school and Xavier high school. Beginning his career in real estate in 2012 Pat has had great success in achieving outstanding results for his clients, through his outstanding work ethic, strong negotiation and superior communication. 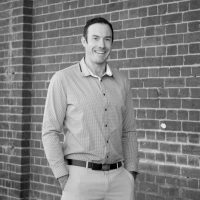 Having moved back from Shellharbour where he spent 5 years working for a leading agency, gaining invaluable experience, Pat has the skillset to ensure you achieve the best result possible in the sale of your home or investment property. Currently living in East Albury, Pat enjoys spending time with his wife and 2 year old son, playing cricket and adventuring throughout our amazing region. Would you like to speak to Patrick? If you’re thinking about renting or selling your property and you’d like a clearer picture of how much your property might be worth or want to have an informal chat about general property market trading conditions, Patrick will be happy to arrange a full market appraisal of your property.